In case you haven’t noticed, I love hiking. I believe that the easiest way to connect with ourselves and those we love is on a nice walk with a backdrop of green trees and a lush landscape. 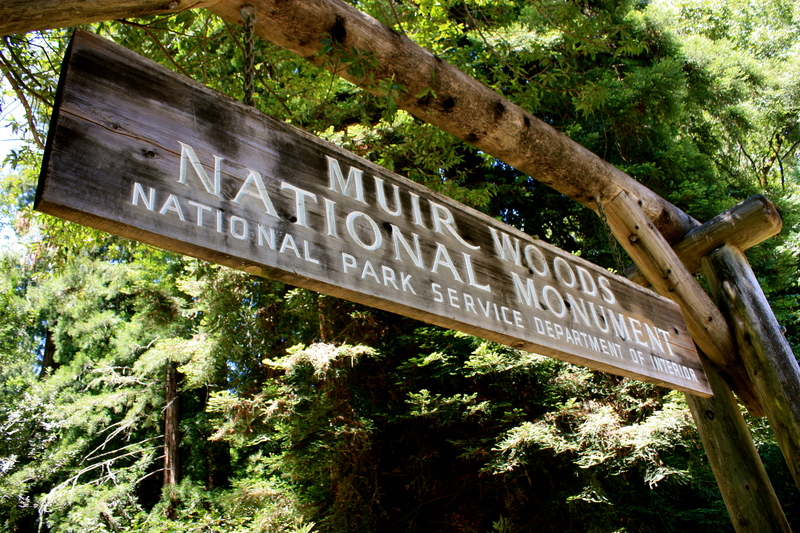 So, when we were recently visited by a lovely German couple, we jumped at the chance to explore one of the Golden Gate National Parks we had yet to visit: Muir Woods. Being the granddaughter of an outdoor enthusiast, I am no stranger to who John Muir is. A poetic writer and devotee of all things green and beautiful, I expected to find the forest dedicated to him full of wonder and I was not disappointed. 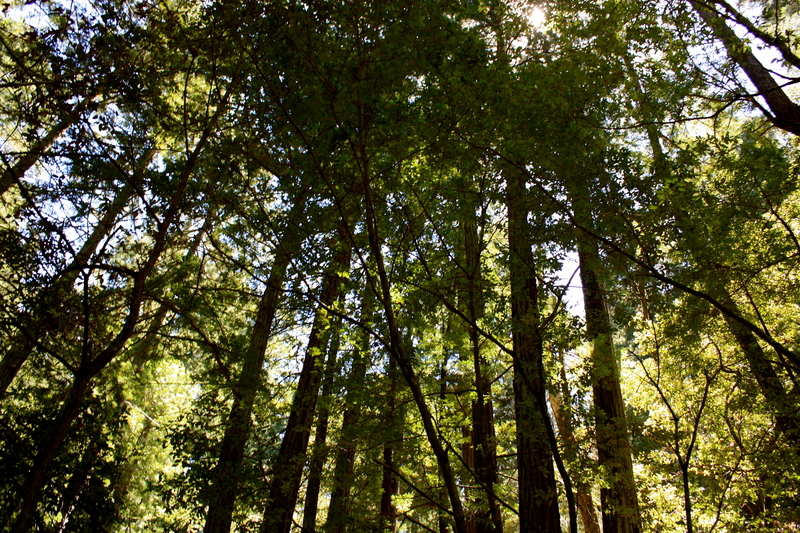 Muir Woods is full of towering redwoods, lush clover, and green moss. It is, without a doubt, a beautiful oasis in the otherwise brown hills that stand above the ocean north of San Francisco. 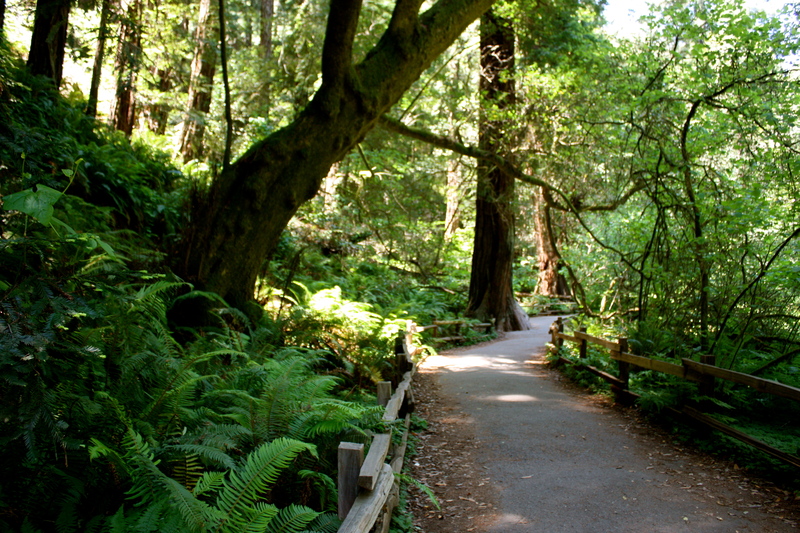 When you arrive at Muir Woods, you enter on a wooden path that leads you through the forest. There are multiple points where you are given the option of leaving the path to trek through the forest. We choose to take a short hike that ran parallel to the main path and enjoyed the view of the trees from higher up. Regardless of what path you take, I assure you that you will love Muir Woods. This entry was posted in Explore, San Francisco and tagged explore, hiking, Muir Woods, Outdoors, redwoods, san francisco.